Sebastian Vettel’s reputation has been tarnished after he deliberately swerved into Lewis Hamilton during Sunday’s incident-packed Azerbaijan Grand Prix, Mercedes chief Niki Lauda has claimed. Four-time champion Vettel was punished by the stewards for his moment of madness during a chaotic race here in Baku. Daniel Ricciardo claimed both his, and Red Bull’s, first victory of the new season, but the spotlight was firmly on Vettel last night after he banged wheels with his title rival. Vettel adjudged Hamilton to have brake-tested him during the second of three Safety Car periods in a frenetic race on the streets of Azerbaijan’s capital city. After he rammed Hamilton from behind at Turn 16, the German then pulled alongside his British foe before gesticulating with both hands and slamming into Hamilton’s car. Vettel, who finished fourth and extended his lead over Hamilton in the championship race after the latter was forced into an unscheduled pit stop following a problem with his headrest, protested his innocence. But the stewards took Hamilton’s side, hitting Vettel with a stop-and-go penalty and latterly three points on his licence. Three-time world champion Lauda, the non-executive chairman at Mercedes, was asked whether Vettel’s reputation had been tainted following the dramatic incident on lap 19. “Sure,” a definitive Lauda replied. “He freaked out in himself. “When you hit somebody up the a*** it is your fault. No question. But then to drive next to him and hit him on purpose, I have never seen anything like this. Indeed Hamilton, now 14 points adrift of his championship rival after he crossed the line only fifth, was furious with Vettel’s actions branding the German a “disgrace”, while also suggesting he take on his rival “out of the car, face-to-face”. “For him to pretty much get away with driving into another driver is a disgrace,” Hamilton, 32, said. “I think he disgraced himself today. “If he wants to prove that he is a man we should do it out of the car, face-to-face. It is a misjudgement from him and some people don’t like to own up to their own mistakes. “The stewards looked at my data and the reason I didn’t get a penalty is because I clearly did not brake test him. It could not be clearer. It is as clear as blue skies. Lewis Hamilton and Sebastian Vettel. Lewis Hamilton and Sebastian Vettel were involved in an astonishing row at the Azerbaijan Grand Prix on Sunday. The drivers collided on lap 19, as Vettel ran into the back of Hamilton’s car, later accusing the Briton of brake-testing him while the Safety Car led the cars around the circuit. But Vettel’s reaction was the greater controversy, as he inexplicably drove into the side of his rival’s car, leading Hamilton to say the German “disgraced himself”. Here, Press Association Sport looks at on-track controversies from Formula One’s past. Ayrton Senna complained that pole position was wrongly situated on the track and demanded to be moved into the racing line. When his request was rejected and he was overtaken by title rival Alain Prost at the start, Senna took out the Frenchman on the first corner to secure the world championship. Michael Schumacher’s Benetton had suffered irreparable damage by the time it was involved in a collision with Damon Hill’s Williams in the season-ending Australian Grand Prix in Adelaide in 1994. The crash forced the British driver out of the race and ensured Schumacher secured his first F1 drivers’ title. Schumacher maintained it was a racing incident. Three years later Schumacher collided with another rival, Jacques Villeneuve, in a final-race shoot-out at the European Grand Prix in Jerez. However, the Canadian, who had been attempting to overtake Schumacher when the collision occurred, finished third to take the title while the German, whose second place in the championship was later stripped from him, was forced to retire from the race. Schumacher, acting under team orders, passed Brazilian team-mate Rubens Barrichello, who clearly slowed down in order to allow the German to win the 2002 Austrian Grand Prix and claim maximum points in the drivers’ championship. The German was jeered by the crowd, even when he attempted to allow Barrichello to stand on the top step of the podium at the post-race celebrations. Nelson Piquet Jr revealed he had been ordered to deliberately crash during the 2009 Singapore Grand Prix to create the perfect environment for his then Renault team-mate Fernando Alonso to win the race. Team managing director Flavio Briatore and chief engineer Pat Symonds both left the team in the wake of the revelations. Briatore was given an indefinite ban from F1 by world governing body the FIA, with Symonds suspended for five years. Both later had their suspensions quashed in a French court, and Symonds recently worked for Williams. Ferrari were fined £65,000 by race stewards at the 2010 German Grand Prix after being accused of implementing a team order. Following coded messages over the team radio, Felipe Massa eventually ceded a potential victory to team-mate Fernando Alonso, a move that sparked outrage at the time. Ferrari were deemed in breach of article 39.1 of the FIA 2010 sporting regulations that states ‘team orders which interfere with a race result are prohibited’. In December 2010 the article was deleted from the FIA’s statutes. Sebastian Vettel apologised after blatantly disregarding Red Bull team orders to claim a controversial 2013 Malaysian Grand Prix victory. Mark Webber held sway over team-mate Vettel following the fourth and final pit stop and at that point the call went out to the duo to hold station to the chequered flag. Vettel, however, had other ideas and instead went wheel to wheel with Webber for more than a lap, even ignoring a call from frustrated team principal Christian Horner who said: ”This is silly Seb. Come on!” Despite that warning, 25-year-old world champion Vettel bulldozed his way past Webber to triumph for the 27th time in his F1 career. Hamilton moved within 11 points of title leader Nico Rosberg after their last-lap collision in the 2016 Austrian Grand Prix. The German appeared on course to extend his championship lead but crashed into Hamilton as the Briton attempted to pass his Mercedes team-mate around the outside of turn two. Rosberg limped home in fourth and was subsequently handed a 10-second retrospective penalty for the crash – the third time in five races the pair collided. 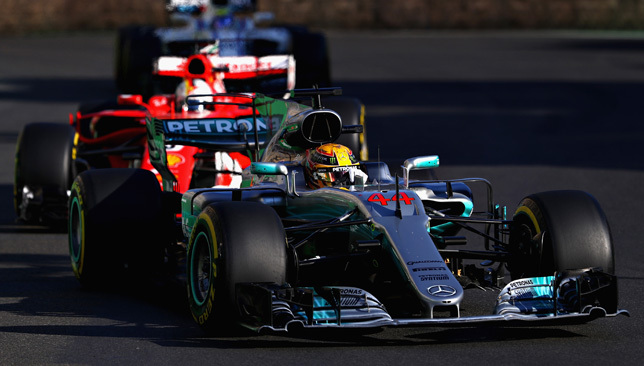 Team boss Toto Wolff called the coming together ”brainless”. Say hello to the bad guy: Sebastian Vettel. Picture: Getty Images. Much has been made about the rivalry between Lewis Hamilton and Sebastian Vettel but seven races in – bar one passing manoeuvre in Barcelona – the wheel-to-wheel racing had not properly manifested itself. In the build-up to yesterday, three-time grand prix winner Johnny Herbert had predicted that Azerbaijan would be the weekend where the season sparked into life between the two title protagonists. And so it did in dramatic fashion. Where previously there had been at topsy-turvy championship, Hamilton shining one weekend, Vettel the next, finally the pair came head to head albeit in bizarre circumstances. There can be no question that Vettel was entirely at fault for driving into the back of Hamilton with the safety car deployed on the track. And in a moment of petulance, he came alongside Hamilton and barged into him, gesticulating widely in the process. In that solitary flash point, the script of the 2017 season was well and truly ripped up. Where there had been a mutual respect and admiration between the two drivers at the preceding seven grands prix, it has evaporated in an instant. 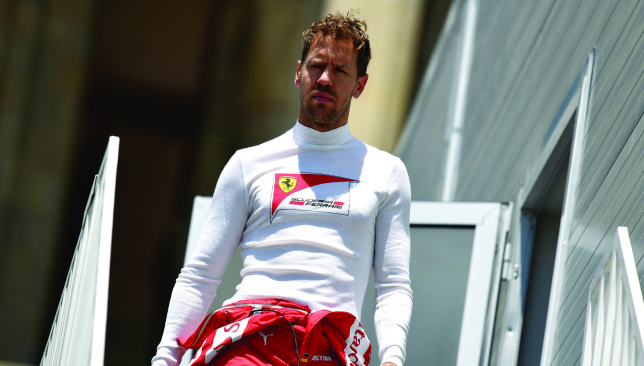 For Vettel, it was not a move becoming of a four-time world champion, and such an expression of frustration perhaps highlights why the German is not more widely loved by the world’s wider Formula One audience. And he was rightly punished but not enough, a decision by the race stewards to give him a 10-second drive-through penalty mocked by the fact that Vettel finished fourth in Baku to Hamilton’s fifth, both unfair and also not a reflection of how the weekend or the race itself had played out. Social media was awash with different opinions, many suggesting Vettel deserved to be disqualified and, while that might have been Draconian, was it really so wide of the mark for such a dangerous move? To Hamilton’s credit, he tried not to be drawn into the debate with the cameras rolling in front of him afterwards. 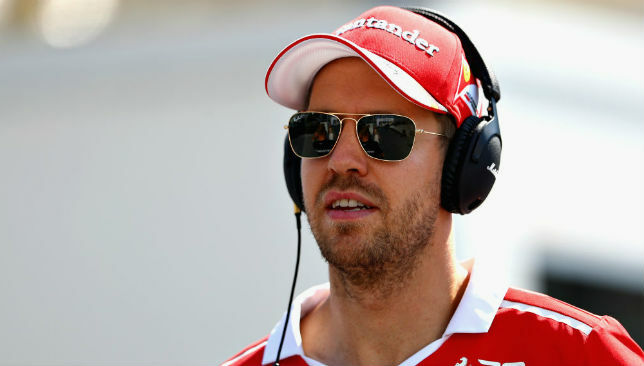 In contrast, Vettel was down the team radio twice asking – despite knowing full well – what dangerous driving he had performed. It was telling that Ferrari team principal Maurizio Arrivabene came over the airwaves to effectively tell his driver to shut up. Even after it all, Vettel – for whom admitting a mistake has never been his strongest suit – was still mystified about all the fuss. He shifted the blame to his title rival, claiming Hamilton had previous from a similar incident in China in the past. Arrivabene and others will not be happy with Vettel’s petulance. As it turned out, it cost him the race, which may prove an even greater error as the season progresses. So what does it mean for the world championship? The gloves are off and Vettel’s statement means Hamilton will be fired up for the subsequent race and willing to get his elbows out to race dirty if needs be. But psychologically it is also advantage Hamilton as it all played out. The Hamilton of old would have fired out an immediate outburst at his rival, instead he was measured and tight-lipped while Vettel seemed to be breathing fire out of his nose as he left the Baku paddock. The point was made by former world champion Damon Hill that had Vettel done something similar on public roads, he would have been arrested. Everyone knows that F1 is far from the real world but the point resonated, and Vettel will continue to get flak from now until the subsequent race and beyond. In just a few seconds of behaviour becoming of a school playground, the championship has been delightfully flipped on its head, the lightning strike moment the 2017 season had been calling for. For now, Vettel is the villain of the peace, Hamilton holier than thou but it is barely the first chapter. The Austrian Grand Prix in two weekends time cannot come soon enough.